Universal agreement on climate change – not too far! Delegates from 194 countries negotiated over a week and finally succeeded to prepare the negotiating text for the 2015 Universal Agreement on Climate Change to be held in Le Bourget, France from 30 November to 11 December 2015. 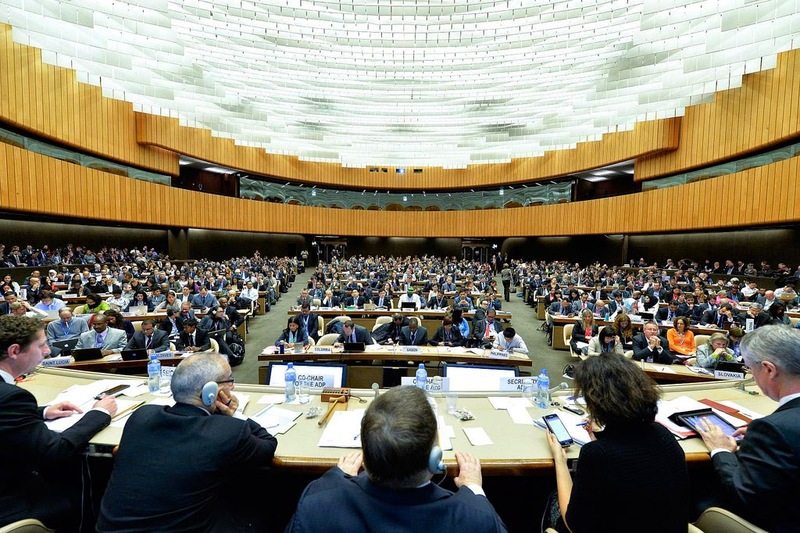 On Friday (13th February 2015), delegates participating Geneva Climate Change Talks finalised the content of the new agreement which includes the text about mitigation, adaptation, finance, technology and capacity building. The United Nations Framework on Climate Change (UNFCCC) has set the objective of the 2015 conference to achieve a universal and binding agreement on climate for the first time after 20 years of UN negotiations by the nations all over the world. Achievement of Geneva talk over the last week is a key milestone towards this objective of UNFCCC. This has given a hope that we are moving in right direction in spite of being very slow. According to a press release by UNFCCC, Christiana Figures, Executive Secretary of the UNFCCC has expressed her happiness as “I am extremely encouraged by the constructive spirit and the speed at which negotiators have worked during the past week. We now have a formal negotiating text, which contains the views and concerns of all countries. The Lima Draft has now been transformed into the negotiating text and enjoys the full ownership of all countries”. The press release further added that “The text was constructed in full transparency. This means that although it has become longer, countries are now fully aware of each other’s positions”. According to UN News Centre “The next step is for negotiators to narrow down options and reach consensus on the content. Formal work and negotiations on the text will continue at the Climate Change Conference in Bonn in June with two further formal sessions planned for later in the year, as well as ministerial-level meetings that will take place throughout 2015”. The negotiating text is available on UNFCCC website. © Food and Environment. Powered by Blogger.